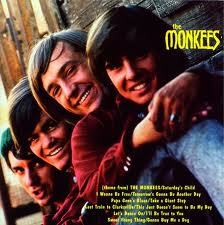 The Monkees debut LP, 1966: For years I thought the boys were leaning over an arched bridge. Then I saw the complete photo somewhere, which showed this bridge to actually be Davy’s tweed-pants-ed leg! 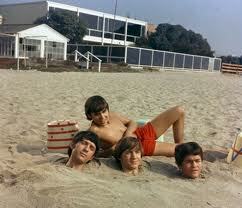 The Monkees were my first crush. They were an endless obsession during my childhood — when that elementary school stretch between the ages of 5 to 9 seems an eternity of best friends and bullies, playground battles won and lost, and mysterious little girls pined for (THAT I always had in common with Monkees’ singer/16 Magazine-heartthrob Davy Jones; well, plus the fact we were both shrimps; the only difference was, Davy always got the girl). So this past weekend, in what felt like a now-or-never moment, I broke down and bought one ticket to see (and hear) The Monkees at the Wang Theatre in Boston tonight (Tuesday). Incredibly, given all of the reunion tours that have commenced since a mid-Eighties Monkees marathon on MTV brought them a new generation of fans — as well as brought back some old ones — I have never stood in the same concert hall as Davy, Micky, Peter, and Mike, or any combination thereof. Now Davy’s gone, of course, and inscrutable Mike’s back in the fold (for now, at least), which seems a bit perverse, maybe even cruel given all the years they could have gone out as a foursome but Nesmith declined. Despite — or perhaps because of — this unexpected development, this chance and tour feels like a now-or-never moment. They will all eventually leave us, one by one, so it’s time to make your peace however you deem fit. I’ve actually had some opportunities to see The Monkees, and more. Once I even had a chance of fulfilling what would have been a wild childhood fantasy: interviewing lead singer-drummer Micky Dolenz for a daily newspaper. But in a classic case of terrible timing, I was packing and moving to Boston that week. Then, a few years later, after pitching (and getting the green light) to write a first-person essay on The Monkees for The Boston Globe that follows below, I had every intention of seeing them play their free show at the Hatch Shell on the Esplanade in Boston. Then I realized my wife and I had booked a trip that took us out of town. It’s okay, I told myself. 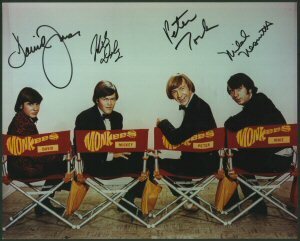 The band wasn’t *really* The Monkees, anyway, having mostly toured without Mike Nesmith, one of the main characters and creative chambers of its Tiger Beat heart. As a solo artist and video production entrepreneur, Nesmith had always seemed dismissive of a reunion and a band he felt embarrassed by. Aside from sporadic tour appearances here and there with them over the decades, Nesmith made it pretty plain that he wanted nothing to do with The Monkees brand (not that Mike needed the money, between his mom inventing liquid paper — white-out — and whatnot). Mike was the one who had spilled the beans on the band not playing their own instruments; had sullen clashes over creative control with the suits at Colgems; and always seemed to be the guy who’d quit first. He wasn’t and didn’t. Peter Tork, who played the clueless clown on the show, did. Then just over a year ago, on February 29, 2012, the unthinkable happened. 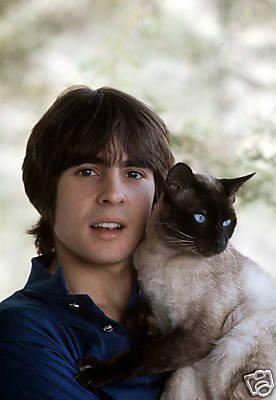 Davy Jones died, presumably of a heart attack at the too-young age of 66. I saw the news online, and then a short time later, the phone rang. It was my mother, who had just heard the news on TV. She said her first thought was of me. “You were always the ‘Monkees Man.’ ” I felt instantly seven or eight years old again. I found myself getting choked up, and then breaking down into a kind of sob beyond any rational control, as I tried to articulate and pay tribute to why Davy’s death felt so knee-buckling. Of course, the grief was — and is — about loss, both figurative and concrete. The stricken sadness had to do with the death of someone whose heartbeat was a core part of my childhood. And it had to do with flesh-and-blood reality vanquishing warm and fuzzy celluloid fantasy — a fantasy which, until then, carried the subconscious illusion of always existing and being untouchable. Being a tad on the morbid side, it had occasionally struck me that, of all the so-called iconic 60’s groups (don’t worry, I’m not making an argument here for them as being the equal of The Beatles), only The Monkees had every original member still living. But now, suddenly, when I glanced up at the hardback cover of my “Who’s Got The Button?” novella with pics of the boys connected as one at the shoulders, I could no longer smile at that happy circumstance. Gazing at vintage pictures of Davy that dark day amid the proliferating online galleries and tear-stained remembrances from around the world, what struck me was how perfectly positioned Davy was for his role and place in pop culture history. He seemed genetically engineered to be a gold standard for teen idols: boyish and approachable, yet sensuously featured with big brown eyes and darkly expressive eyebrows; a silky bowl haircut arranged atop a guileless grin that rivaled Paul McCartney’s. At an oft-cited 5’3,” he was as short as that cute 13-year-old boy sitting next to you in math class, but he also could be the caring big brother or a gentlemanly prince charming, ready to sweep you off your feet as he whispered sweet nothings from your 45 rpm record player. Davy, as Marcia Brady knew in her fluttering heart, would always ask you to the dance. Of course, that was illusion too. Behind the fame, the girls, and the worldwide success that seemed to come ridiculously easily, there was in fact an extremely hard-working, ambitious, and wholly professional young man named David Jones; a seasoned song-and-dance entertainer in the old-school vaudevillian tradition since the days he could walk and talk. Davy had been to Broadway and back by the time he was 18. (In fact, as the Artful Dodger in the Broadway cast of “Oliver,” young David Jones sang a number from the musical on The Ed Sullivan Show on February 9, 1964 — the very night a pop combo from Liverpool named The Beatles made their U.S. television debut, and made Davy re-think what he wanted to do with his life). If Mike was the brains of the outfit (cool, aloof, sardonic) on the show, and Peter was the innocence (the trusting, lost puppy), Micky Dolenz was the madcap clown. More significantly, he was the voice of The Monkees on the records, having sung most of their biggest and beloved hits: “Last Train To Clarksville”; “I’m a Believer”; “(I’m Not Your) Steppin’ Stone”; “Pleasant Valley Sunday”; “She” (a personal favorite); “Mary, Mary” (which Mike Nesmith wrote); and of course both the band’s theme song, which opened the show, and “For Pete’s Sake,” which closed it over the credits. But Davy was always the frontman and the face. The look. The crush. 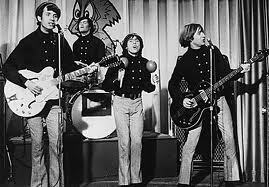 (When Davy died, Mike said he felt The Monkees were really always Davy’s band and that the three of them were his supporting players). 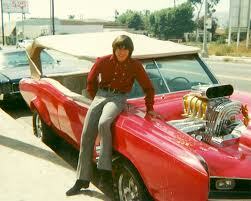 And as I’ve said, Davy inspired a lot of crushes in his prime. For better and worse, The Monkees’ handlers knew this, naturally, and swirled those sweet cotton-candy sighs as fluffy and high as they’d go. I wasn’t the gender or demographic they were after, obviously, and so, as a little boy who liked pop noise and cool guitars, I loathed one of the most popular examples of this highly successful marketing strategy: I’m talking about Davy’s cloying “I Wanna Be Free,” of course. I spent many years ritualistically skipping over that sappy ode to flying bluebirds and long walks along the sand, holding hands. Then, only a few days before Davy’s demise, I happened to let the needle stay put on the vinyl groove of the Monkees’ first LP, as it clicked into “I Wanna Be Free.” And I found myself surprised at my reaction: with its plucked strings and earnest, fragile vocal, the tune was schmaltzy, of course. But after so many years, across the shifting seas of time and experience, it suddenly sounded more wistful and poignant than I’d ever heard it. There was something in Davy’s impossibly young voice that I hadn’t initially grasped or been moved by, perhaps because I too had been impossibly young, with no understanding of everything hard that comes after. It was the sound of someone who wanted to be wise but was, in truth, sweetly sincere and hopelessly innocent. I heard, through my forty-something ears, a voice still just a hair out of its teenage years and naïve enough to think that life — and all of us daydream believers — would last forever. Tonight’s show, I am fairly certain, won’t feel like forever. And neither will the grand illusion and spectacle of it last even a fraction of infinity. But what this does feel like — this morning, this minute, right now and from the first moment I bought my ticket — is the promise of just one more daydream; one last chance at childhood. Not from me. I thought the Monkees – Davy Jones, Micky Dolenz, Peter Tork, and Mike Nesmith – were the most exciting guys on the planet. I had discovered my idols in syndication. 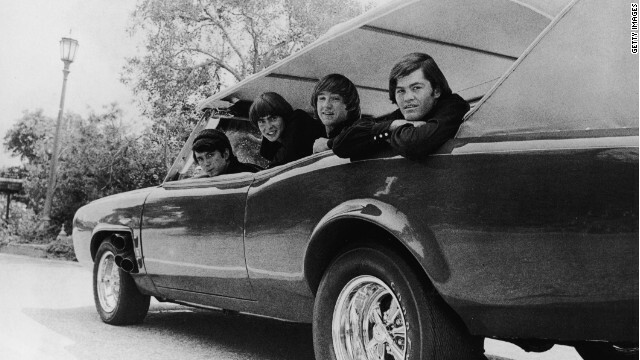 Their TV series (which won an Emmy, by the way, for all those Monkees nay-sayers) had been canceled a couple of years before, but the group had since taken their rightful place at the top of the heap of Saturday morning cartoons and cold cereal commercials. They had me hooked from the instant I first glimpsed them through the static – wackily wheeling a bed down a busy intersection and giving concerts for delirious throngs of “the young generation.” In other words, kids like me. For all of its manipulative Madison Avenue marketing and Hollywood boardroom cynicism, the powers-that-be behind the pre-Fab Four – namely Screen Gems publishing mogul Don Kirshner and an army of suits looking to capitalize on the phenomenal success of the Beatles’ “A Hard Day’s Night” – got something indescribably *right* about the Monkees, and about pop. From the criminally catchy songs (courtesy of the songwriting team of Tommy Boyce and Bobby Hart and the likes of Neil Diamond and Carole King) to the ridiculously improbable plots (Davy gets kidnapped by a jealous prince) to the madcap personalities of the boys themselves (Micky trying to talk his way out of trouble by pulling his James Cagney’s tough-guy routine), there was a special Marx Brothers-esque chemistry that was genuine about the Monkees – even if, as we all later found out, they themselves were not. “Zany” was a word that actually applied to the situations they found themselves in week after week, and how could a six-year old possibly resist that? Even though we had that small black-and-white TV, I always somehow saw them — even felt them — in bright, bubblegum colors, brimming with fizzy, giddy delirium. There they were in their shining, glowing, crushed-sparkle splendor, astride those unicycles, clad in bell-bottom slacks (Peter always wore his belt buckle on his hip, I noticed; a subversively mod, hippie-ish, anti-establishment tic I thought), and in matching uniforms of eight-button (four rows of two buttons across the flap) red and blue velour shirts. I felt so figuratively close to them, in fact, that I told kids at my elementary school that I lived next door to Peter and Davy. (Somehow it seemed more believable if I only picked two; besides, Peter was from Connecticut, so it *could* be plausible that he might ditch L.A. for my small, rural hometown in Western Massachusetts). You couldn’t get much closer to than next door, I reckoned. When my older, far more dangerously rock & roll cousins — they loved the dark, scary stuff like Alice Cooper and Led Zeppelin — indulged me by giving me actual Monkees’ *records*, I discovered that the music was even better than the series. Unlike the TV show, which only came around once a week, I could put the needle down on the records again and again and again. My pal Monty, an older and wiser classmate, was somehow cool enough, at the age of 10, to grasp the socio-psychedelic glory of the Beatles’ “Revolver” album – nicked from his parents, natch. But I was busy extolling the virtues of “More of the Monkees” and insisting that “(I’m Not Your) Steppin’ Stone” was every bit as groovy as “Tomorrow Never Knows”, which, to me, sounded just plain weird (and who *was* that stoned pied-piper with the creepy voice anyway? Somebody named Lennon, I found out later). I was apparently in the minority. When I saw a battered elementary school copy of “More of the Monkees”, I got sick to my stomach with indignant rage: a perpetrator had drawn a mustache on adorable Davy and written “The Big Pig” in pen with an arrow pointing to his face. I liberated the album right then and there, hiding it in my bookbag, but I should have known then that something was awry with the Monkees (after all, how could someone hate them so?). It would have at least prepared me for the awful bomb that my drum-lesson instructor dropped on me a year or so later. Mr. Webster (names have been changed to protect the innocent – or guilty, as it were; plus, it’s the title of a Monkees tune) was the coolest, hippest person I’d ever known. He was fresh out of college, about 23 years old, and liked dressing in purple velvet leisure suits with matching shades. He was our elementary school’s English teacher. He also played the drums for us kids at recess – an instrument I had begun to covet for reasons that, incredibly, had nothing whatsoever to do with the Monkees. Sensing my admiration for him, my parents cut a deal with Mr. Webster: after-school drum lessons in exchange for a few dollars and a home-cooked meal. One day over hamburgers, Mr. Webster casually informed me that the Monkees were frauds. That, most of the time at least, they didn’t play their own music (eventually demanding creative control, the Monkees did, in fact, play the bulk of instruments on their third and arguably best LP, “Headquarters”). He told me about the cattle-call auditions for the group (I later found out Stephen Stills had tried out and was rejected); the studio musicians who really played the music (guitarist Glen Campbell among them); and Mike Nesmith’s public disclosure that the Monkees were faking it. I was crushed. That night I tearfully snapped my Davy Jones novelty coat hanger over my knee, vowed never again to play my Monkees albums, and finally, reluctantly agreed with my buddy Monty. The Beatles *were* cooler. That’s how it went until many years later, when I started listening to more “authentic” sixties groups and realized how much the stuff sounded like the Monkees’ best moments. Curious, I fished out an old Monkees album and put it on a stereo that had become used to playing “serious” music like Hendrix and the Stones. I was surprised to discover how much I still liked what I heard, and not only for nostalgia’s sake, either. The Monkees weren’t the Beatles or the Who, of course – they weren’t even Paul Revere & the Raiders – but somehow, knowing the truth about the pre-Fab Four made it okay to like them. In context of course. Then I began thinking about all the pre-teen idols that had come before – far more suspect “artists” like Frankie Avalon and Fabian – and the bunch of goody two-shoes walking toothpaste commercials that had come after, like the Partridge Family and the Osmond Brothers. I decided that not only were the Monkees a lot more *fun* than any of those pretenders, their hits held up a lot better. This time, I was in good company. As if by telepathy or coincidence, hip songwriters started name-checking the Monkees. They talked about the exuberant production of those once-maligned records. 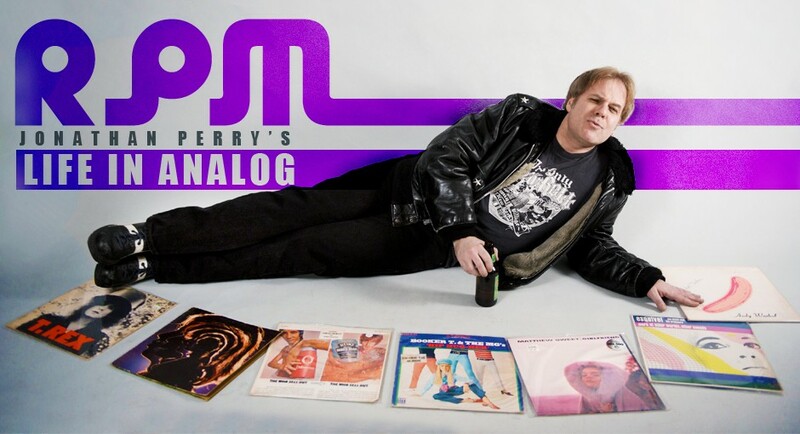 The perfect pop hooks of tunes like “Last Train To Clarksville” and “Pleasant Valley Sunday”. The fact that “legitimate” bands like the Byrds and the Beach Boys (or their record companies) routinely employed studio pros to overdub music early in their careers. They talked about the Monkees’ TV show as having been a precursor to the music video age of MTV – and a wittier, more artful one at that. Since then, lavish box set collections of their works have been issued on compact disc. And these days, compared to corporate shills like ’N Sync, the Spice Girls, and Britney Spears, the Monkees sound positively, well, *talented*. Last year, with some trepidation, I began replacing my old scratched Monkees albums with the pristine-sounding CD versions reissued by the excellent archival label, Rhino Records. This past spring, I broke down and ordered a limited edition set of outtakes and rehearsals for the band’s lone semi-autonomous effort, “Headquarters”. When it arrived in the mail, I found myself opening the package with the butterflies-in-belly enthusiasm I had felt while looking forward to those Saturday mornings so long ago. And then it hit me: after nearly 30 years, I had made my peace with the Monkees, and had finally forgiven them their flaws. And myself for having loved them. I will be reading and enjoying each one of your articles – both the afters (first) and then the befores. You are really a lovely writer. I knew there was a reason you were/are my favorite mama-in-law! Thanks for reading Olga, hope to keep you entertained! Happy 70th Birthday to The Monkees’ lead singer and drummer Micky Dolenz, whom I had the incredible (and slightly surreal) pleasure to meet and chat with face-to-face a few months ago. He signed my original “bearded back cover” “Headquarters’ LP, with the inscription “Cool!” and I finally had the chance, after 45 years since first catching the zany foursome during their second wave of popularity (Saturday morning reruns in ’69) to tell him how much he and the Monkees meant to me as a kid. I always felt like they lived next door to me somehow (yeah, I even told my schoolmates that they did! ), they seemed so friendly and close. Micky even shares a birthday with my dad (who would have been 93 today), which is strangely coincidental to the fact that one of my other favorite singers, Mick Jagger, shares a birthday with my mom. And in my moment of coherence, I told Micky that I always knew that, even though Davy Jones was the face and heartthrob of the band, Micky Dolenz was their madcap humor, their zany energy, and their perfect pop voice. He thanked me graciously and actually seemed to appreciate hearing that. Here’s a riff on The Monkees below, which I wrote after Davy’s passing as an intro to a first-person piece I penned for The Boston Globe some years back. LOTS of Monkees links, from original screen tests to a very rare Micky commercial from the early ’70s, AND a VERY IMPORTANT RPM POLL! And I’d LOVE to know YOUR favorite Micky track! That was a blast to read and to watch those clips. I’m surprised that Headquarters is winning the poll by such a huge margin. I love that record, but I would’ve thought that their debut would be a closer 2nd. Last Train To Clarksville is one of my favorite songs. It’s like a Help/Ticket To Ride era Beatles hit that never was. As an unofficial addendum to this piece, speaking of “Headquarters,” I never knew until recently that, incredibly and curiously, NO SINGLE was ever released for that album. Given how strategically marketed and shrewdly promoted the Monkees were by Colgems — and the fact that there are easily four or five winning pop would-be singles, including a couple by rabble-rousing, thorn-in-record-company side Mike Nesmith, that would have blown up on ’67 radio, I’ve got to wonder whether this wasn’t a move to undermine and minimize the impact and commercial success of the album (to teach the Monkees a lesson), given that it was the first and only LP the Monkees themselves took creative control of and co-produced, after wresting their battle for creative control over Don Kirschner. It didn’t matter in the end, though. In 1967, the Monkees outsold both the Beatles and Rolling Stones COMBINED. And it took no less an effort than “Sgt. Pepper’s Lonely Hearts Club Band” to finally knock “Headquarters” from the top spot on the album charts.